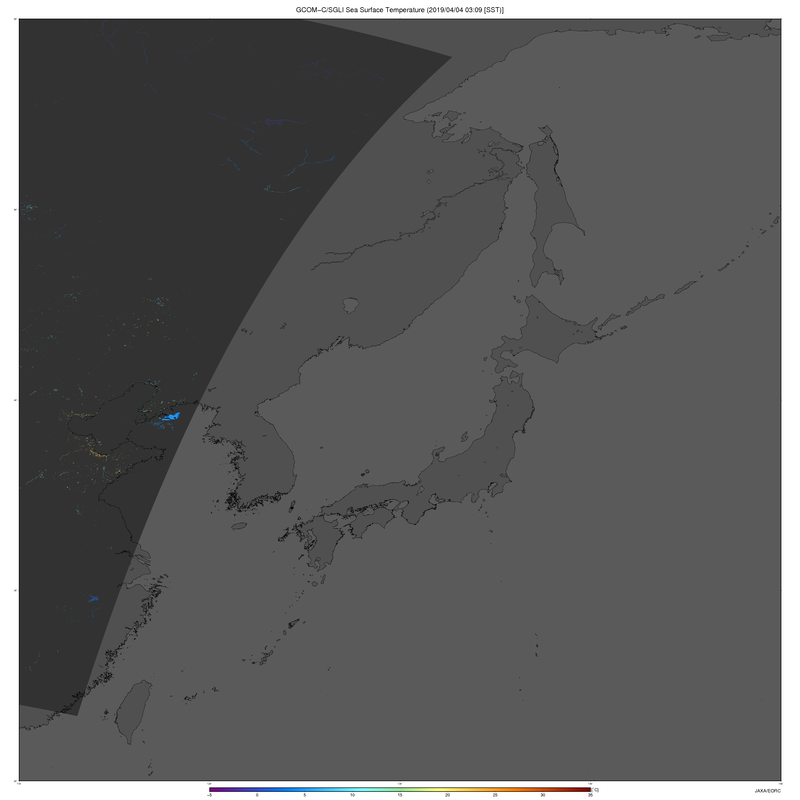 SGLI Near-Realtime Data were released. 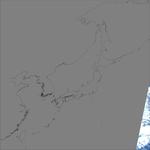 SGLI Near-Realtime Monitor was opened. 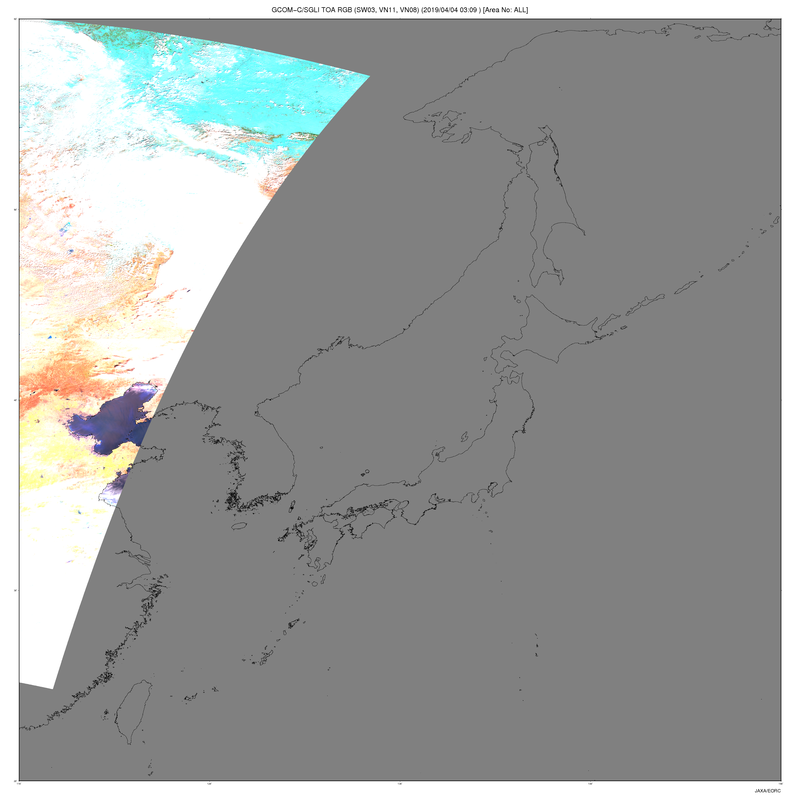 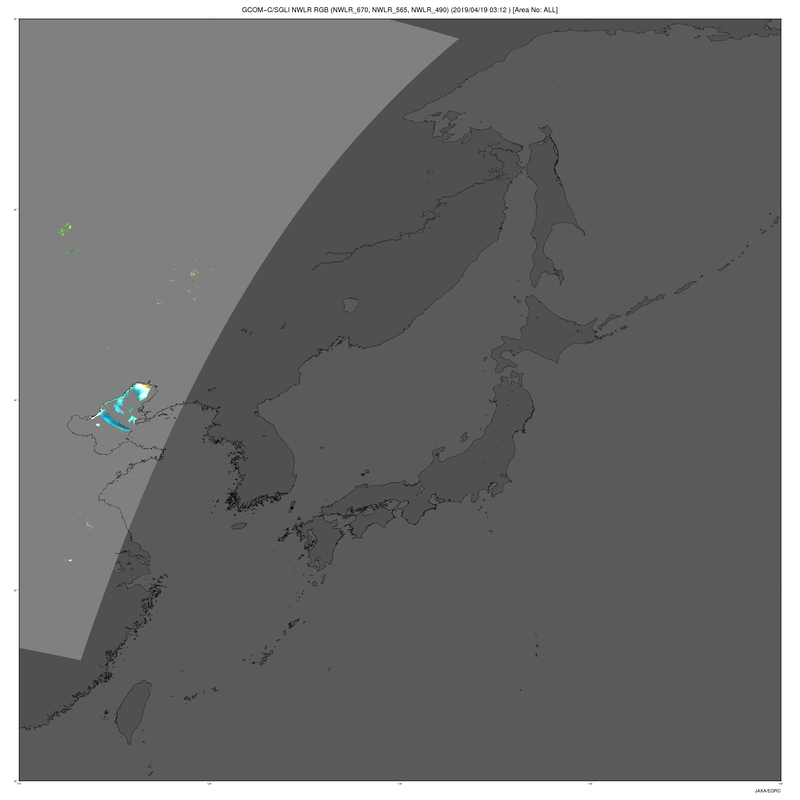 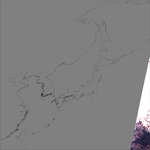 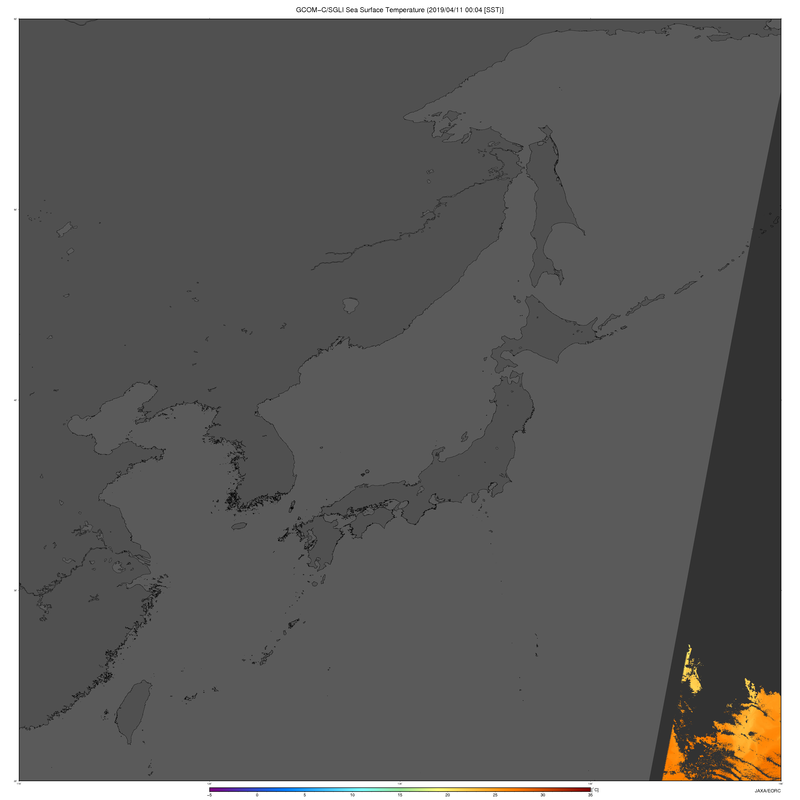 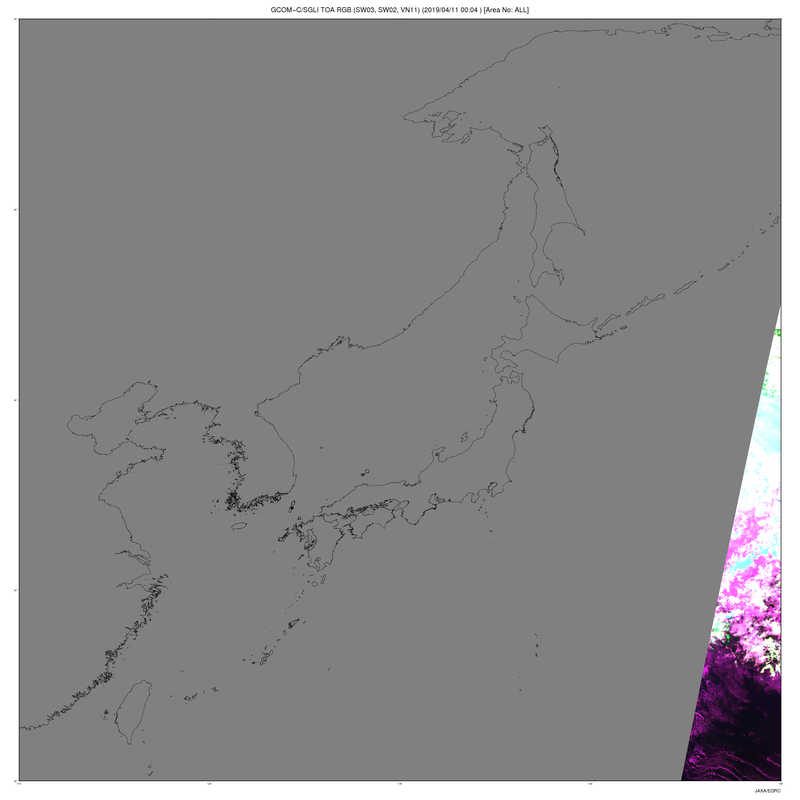 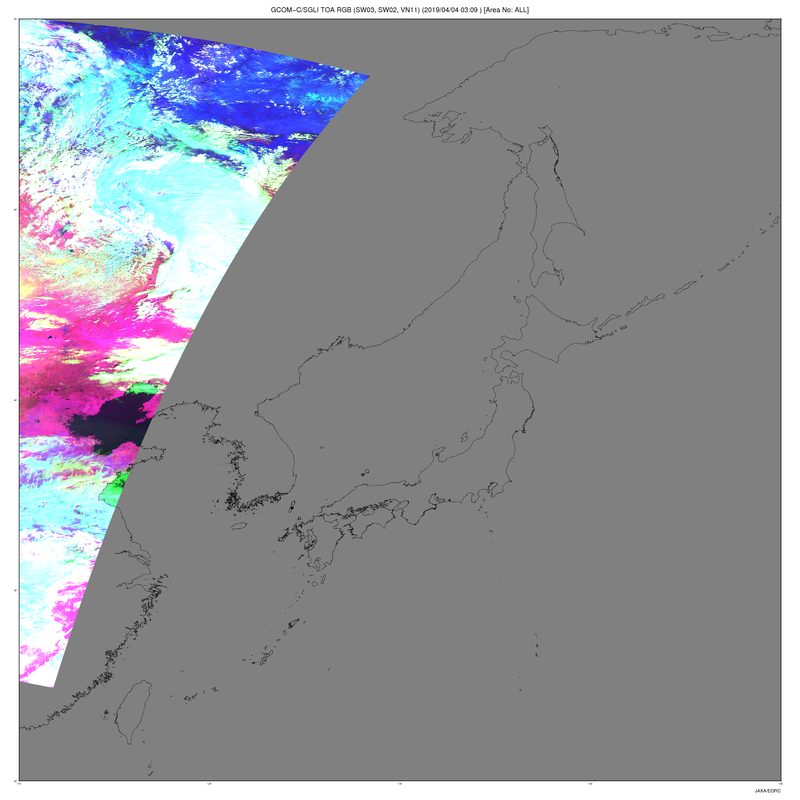 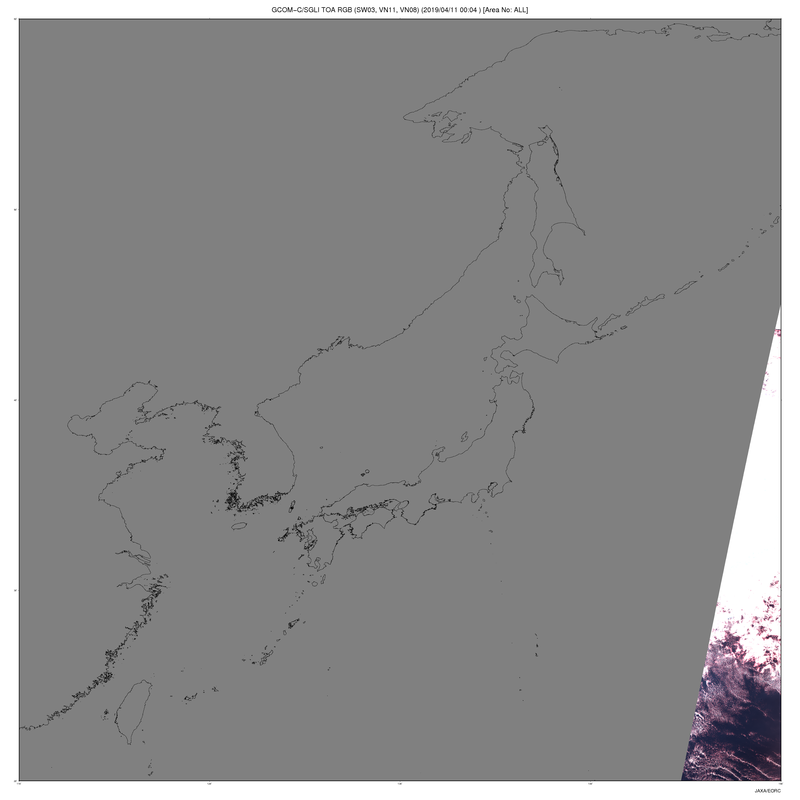 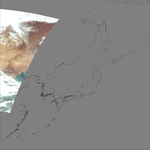 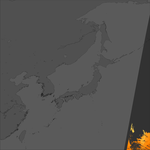 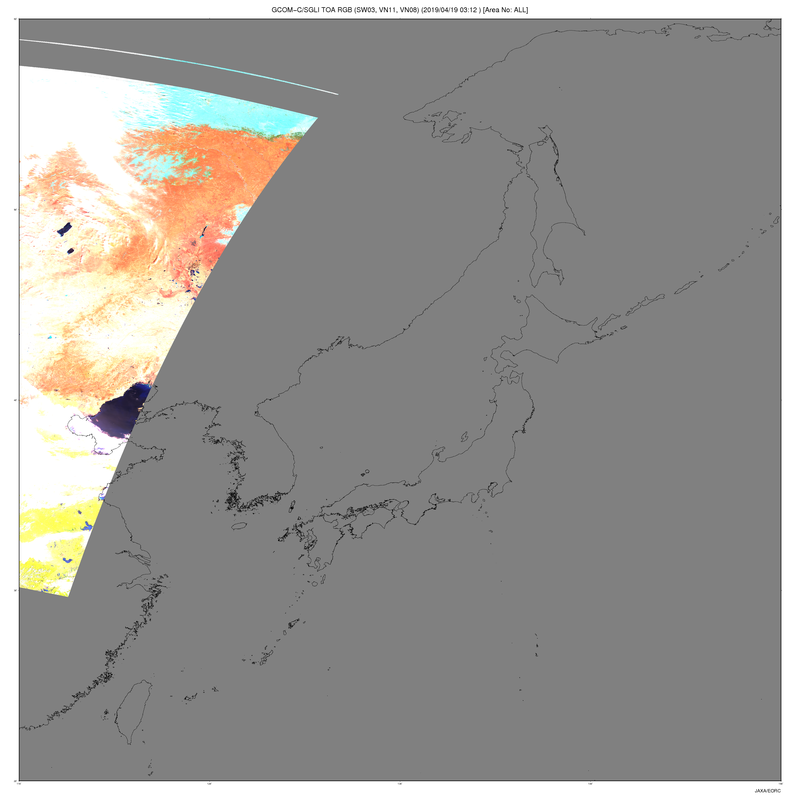 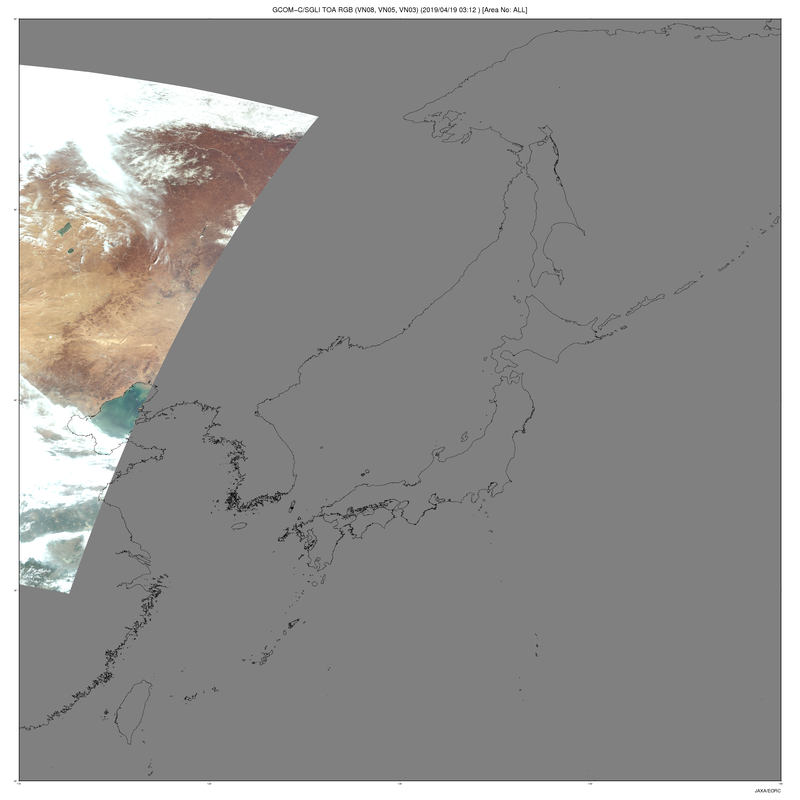 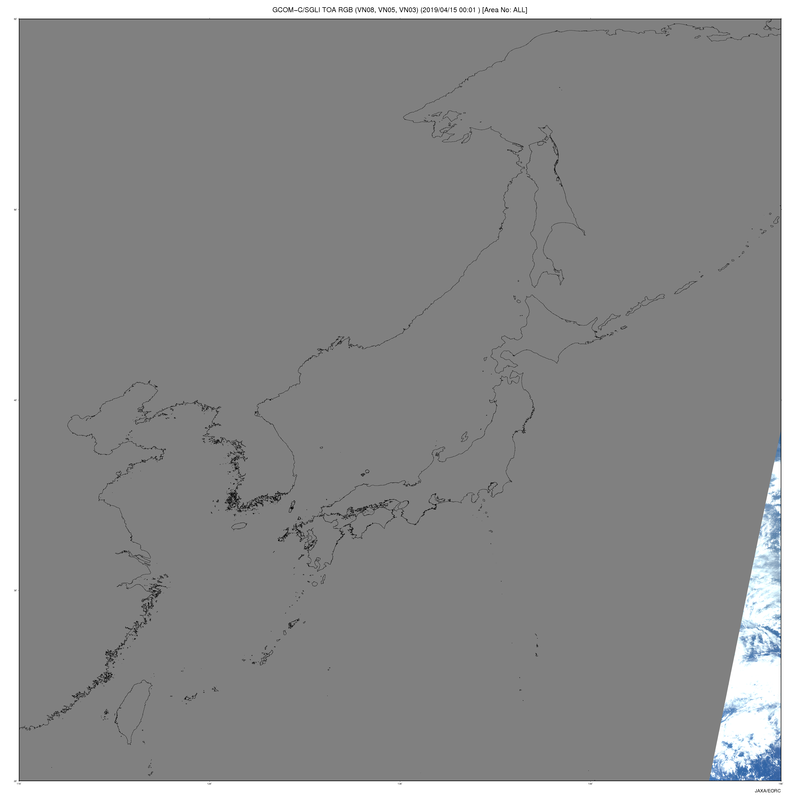 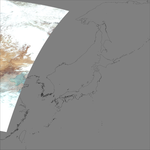 Map-projected near Real-time observation images and data of GCOM-C/SGLI acquired around Japan are available on this web page. 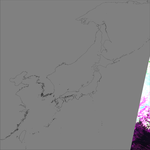 Sea surface temperature, chlorophyll-a, photosynthetically available radiation, aerosol optical thickness, sea-ice and snow cover distribution as well as three RGB composite images of the SGLI reflectances at the visible to shortwave infrared wavelength regions. 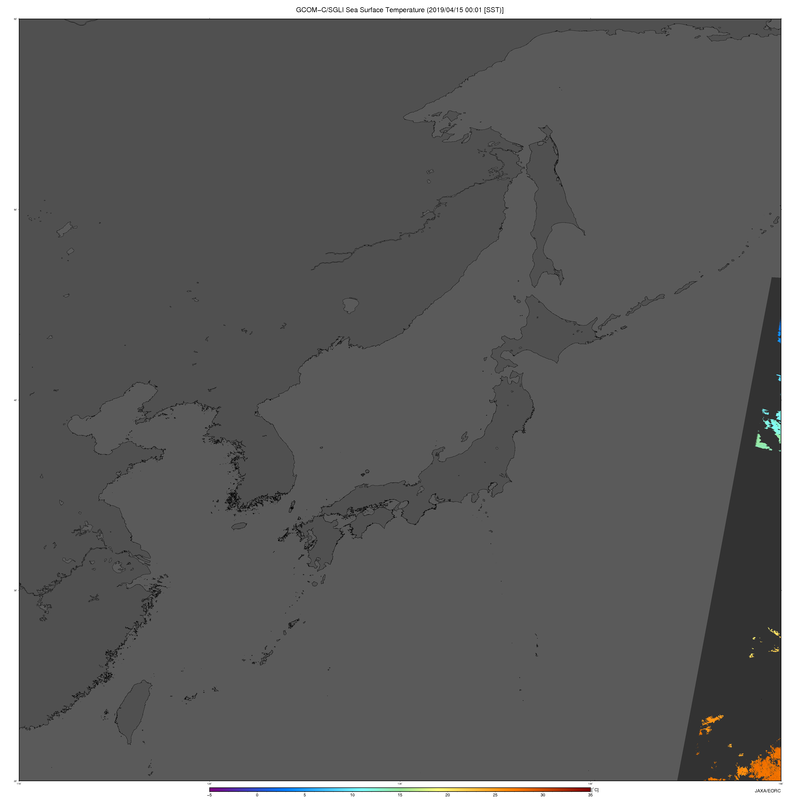 Regarding the data format and the difference from that of MODIS near real-time data, please check the sample data page. 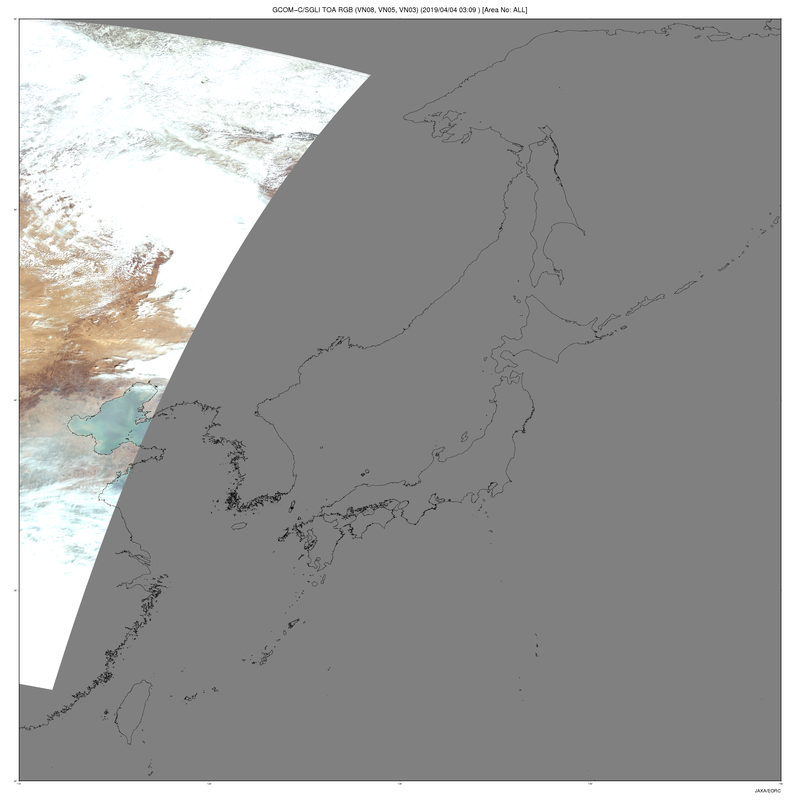 Regarding the algorithms for the retrieval of the variables, please refer to the "Products & Algorithms" on the GCOM-C web page. 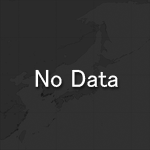 Standard products of GCOM-C are available through the G-Portal web. 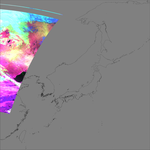 Documents and tools are available here. 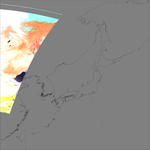 In addition, the "GCOM-C SHIKISAI Data Users Handbook" is available here. 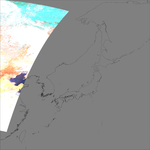 SGLI observation data released on this web page are basically the same as those available at the G-Portal web. 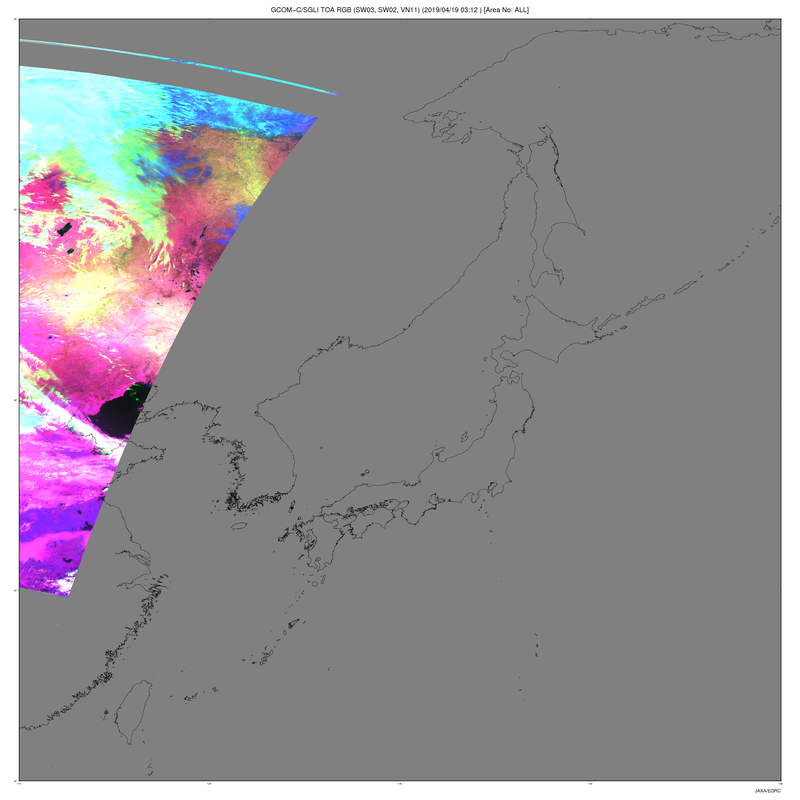 However, the algorithms to retrieve SGLI geophysical variables may be updated without any prior notification even before the version-up of the SGLI products available at the G-Portal web.